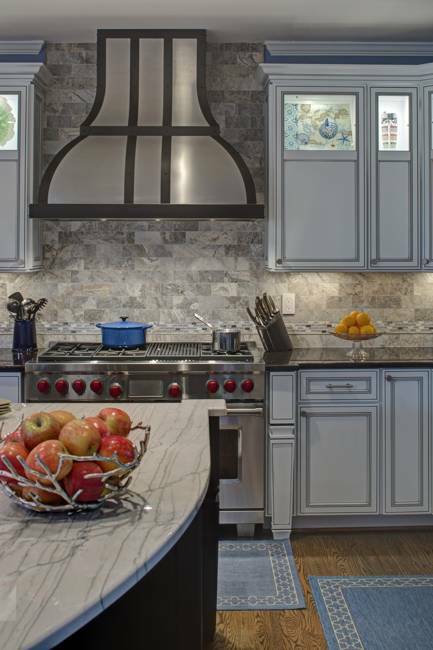 Alexandria Kitchen is a beautiful kitchen design and decorating project by April Case Underwood. 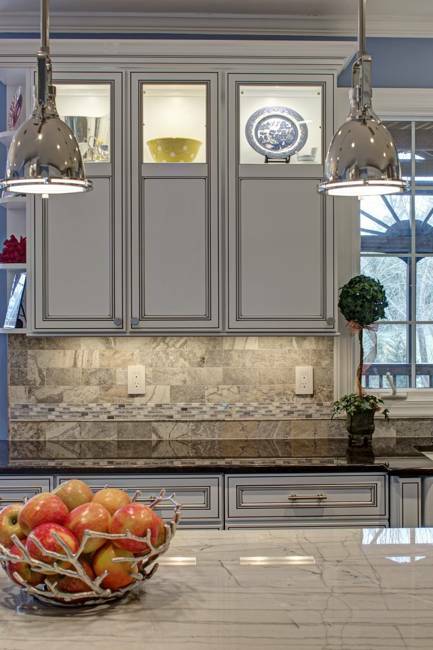 Dark wood kitchen cabinets and white upper cabinets look fabulous with light neutral colors and very nice countertops, creating bright and pleasant kitchen interiors. 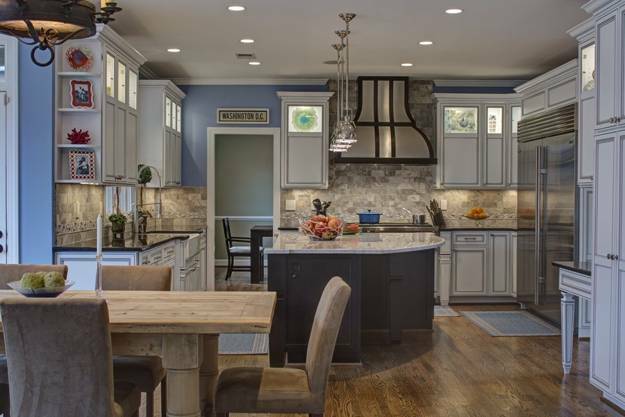 Solid wood dining furniture and shiny pendant lamps, a large kitchen island and unique decorative accents give strong character and add char to this modern kitchen design and decor. 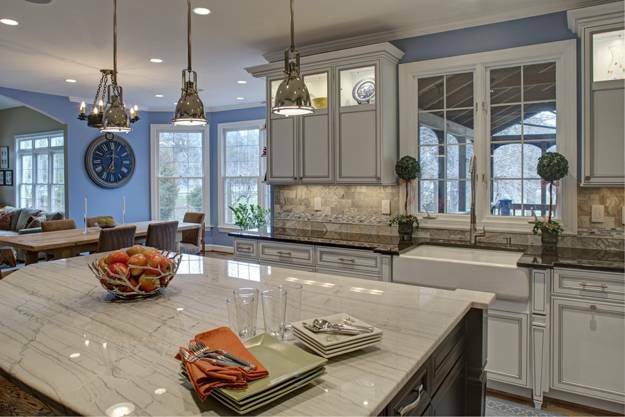 The modern kitchen remodeling project is done by Case Design Remodeling Inc, located in Falls Church, VA. White and light blue paint colors create fresh and peaceful atmosphere while strong contrasts of white and black decor ideas add energy to this modern kitchen design. 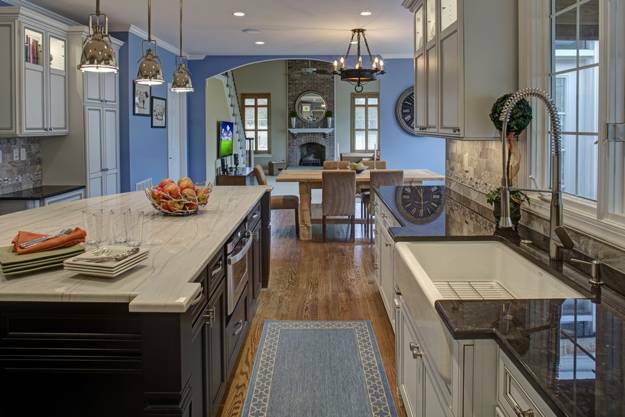 Pastel blue and green colors in lights tones are used to accentuate kitchen decor. Orange and red details add interest and warm up kitchen colors. 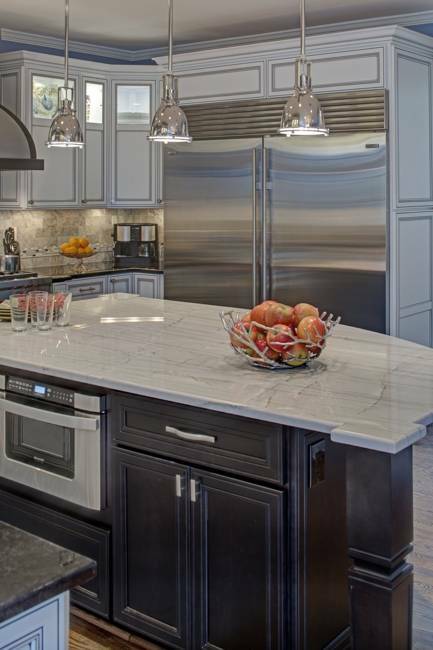 Metal pendant lights and stainless steel appliances reflect more light into the kitchen interior and make it brighter. 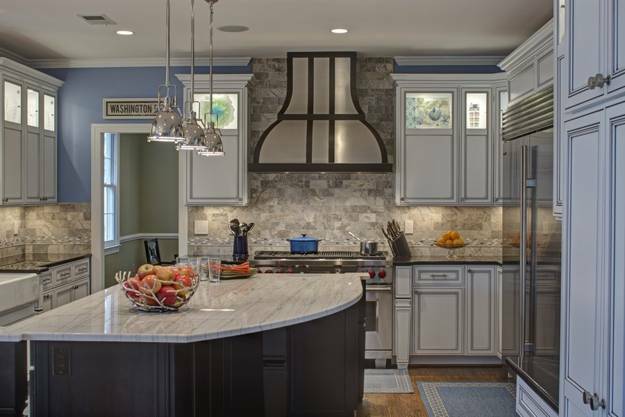 Curvy and straight lines create a beautiful display of various shapes that harmonize and beautiful modern kitchen design and decor ideas. Attractive kitchen cabinets doors and contemporary lighting design, combined with unique accents, pleasant kitchen colors, expensive materials and ergonomic layout turn this kitchen interior into a stylish place to cook, eat and entertain.